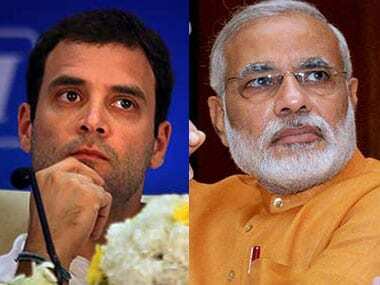 With Narendra Modi and Rahul Gandhi continuing to wage a no-holds-barred war over demotetisation, the battleground state of Uttar Pradesh presents a rather baffling picture in the run-up to elections: The top two national parties – the BJP and the Congress, which happen to be the third and fourth forces in this state — are making more noise than the first two parties – the Samajwadi Party (SP) and the Bahujan Samaj Party (BSP). Indeed, there is a solid reason why they are doing this: Now that ‘notebandi’ appears to have taken centre stage relegating all other issues such as Ram Mandir, surgical strikes across the LoC, development, nationalism and secularism to the background, both Prime Minister Modi and Congress heir-apparent, Rahul Gandhi are already looking beyond 2017 state elections. They have come to realise once and for all that their future has now been put at stake. If the note ban comes to a successful conclusion, the Prime Minister will laugh all the way into the 2019 Lok Sabha elections and, maybe, beyond. But if it fails midway causing, even more, hardship to the masses, Rahul Gandhi might emerge as a serious contender for power in league with Akhilesh Yadav, Nitish Kumar and some other regional satraps. Mark some of the idioms and catch-phrases that Rahul has been using of late to attack Modi with all the power under his command: 'If I’m allowed to open my mouth on the floor of Parliament, there will be an earthquake; I’m in possession of bullet-proof evidence against the Prime Minister; The RBI is changing rules like the PM changes his clothes; Modi fire-bombed the poor through demonetization; It’s a Modi made cash crunch.' And so on and so forth. In sharp contrast, undeterred by what Rahul or other adversaries have been saying on the issue, the Prime Minister crisscrosses the state with increasing frequency holding the Congress responsible for all the ills, including corruption, in the country. Following up on what he had said at the rallies at Agra, Moradabad, Gazipur and Varanasi, Modi is scheduled to address public meeting at Varanasi and Lucknow in the next few days. Two things are clear in all this: First, the Prime Minister, who has virtually been riding a tiger ever since demonetisation was announced on 8 November, will continue to stick to his guns, come what may. He says: "We are fighting black money and corruption….Our agenda is to stop corruption, stop black money. But others have an agenda of stopping the Parliament….There is a strong desire for change in Uttar Pradesh. I don’t just see the winds of change. I see a storm for change." And second, Rahul isn’t getting tired of flexing his muscles. He genuinely believes that poor labourers and farmers, who find themselves at the receiving end after demonetisation, would turn the tide in his favour. Little wonder then that he is trying to match Modi’s oratorical style with equally aggressive rhetorics. Be that as it may, the fact remains that both the Congress and the BJP happen to be extremely weak forces in Uttar Pradesh if you go by past electoral records. Can you believe it that the two national parties had polled, taken together, less than one-fourth of the total number of votes that was cast in 2012? Yes, the vote shares of the BJP and the Congress were just 15 percent and 7.5 percent respectively. The BJP had, however, swept the national elections two years later in 2014 winning 72 of 80 Lok Sabha seats with a vote share of 42.30 percent under Modi’s charismatic leadership. In the aftermath of its recent victories in civic elections in Gujarat, Maharashtra and Chandigarh, the BJP has reasons to hold the view that Modi hasn’t lost his Midas touch despite demonetisation. Modi and BJP together do make a deadly combination. That was why there was a huge difference in the voting patterns of 2012 assembly and 2014 national elections. Even Rahul knows this. And, perhaps, that is why he is focusing all his energies on attacking the image of Modi -- the poster boy of the BJP. Meanwhile, the SP and the BSP are watching the Modi-Rahul duel from a distance. Their politics is being played out at a different level altogether. While Akhilesh Yadav is seen doling out pre-election freebies in a hurry, Mayawati’s lieutenants have fanned out into the countryside to give final touches to their "Dalit-Muslim axis". 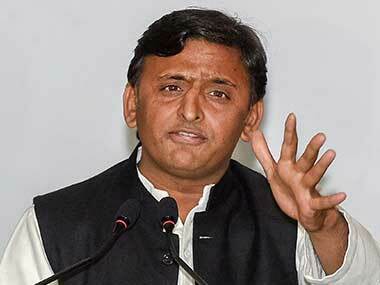 Believe it or not, Akhilesh inaugurated and laid foundation stone of about 6,000 projects in six hours on Tuesday. He says he is a man who doesn’t make empty promises. "I have delivered on all the promises that I had made in 2012; and I shall do the same again if voted to power this time," he says and rushes forward to make yet another set of announcements.